Well, I'm not going to lie, I was torn when I heard Pantone announce the Colour of the Year for 2017 as Greenery. The fashionista in me was pretty happy - I generally love wearing green, especially in the spring and summer, so that'll work. But the beauty lover in me was a little taken aback. Bright green? Could I give it a try for makeup? It figured I could take on the challenge. And you know what? I was happily surprised how much I liked it! The green is actually a very refreshing shade, and is capable of some really cool looks. 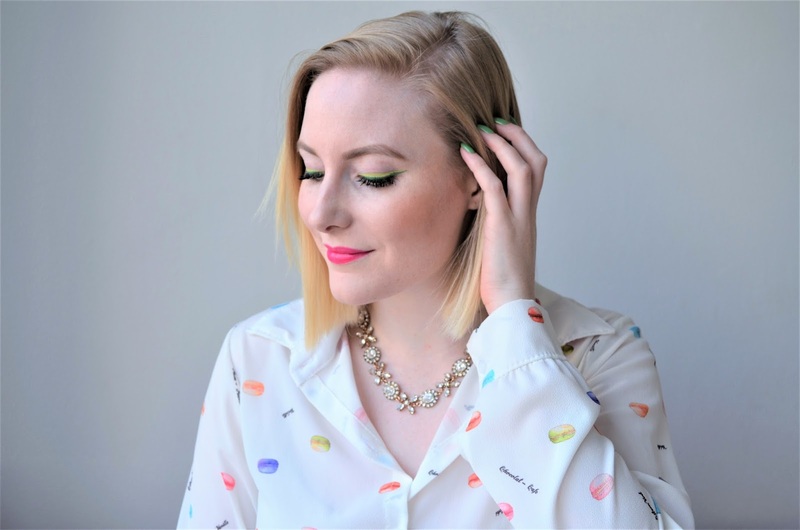 I teamed up with London Drugs and searched their beauty department for products that matched the Colour of the Year Greenery. Watch the video below to see what I found - from skincare to face, eyes and lips (yes, even lips! ).